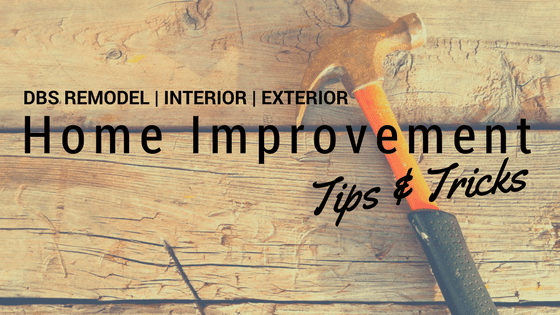 Home Improvement Tips & Tricks: Pet Problems, Solved! While we love our Pets, and most of us consider them to be part of the family, many homeowners would agree that we aren’t too fond of their amenities, accessories, and overall stuff! I know I am not alone when I say that knocking into your pet’s water dish and getting water everywhere (usually on nice dry socks) is usually followed by a string of profanities. And let’s all take a second to agree that litter boxes are about as attractive as what goes on inside them–queue collective sense of disgust—they are simply an eyesore! In this day and age of DIY, fixer-uppers, and home improvements, why are we not applying the same school of thought to our pets? There are many space-saving solutions and simple fixes that can help keep your pet’s supplies organized & tidy, while not compromising the aesthetic appeal of your home. 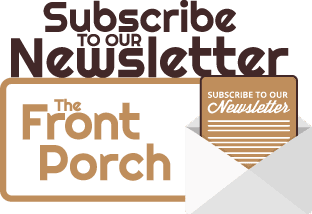 Food & Water – First and foremost, let’s tackle the food & water dish debacle. While we, of course, want our pets to stay well fed and hydrated, their dishes can at times be unsightly, or if you’re like me, a major trip hazard. If you’re limited on space, fear not, you can make a food & water dish shelf, which is off the floor and easily hidden from site. Check out this blogger’s instruction how to construct one for yourself. If you’re not too keen on the drilling holes or shelving and aren’t too limited on space, you can also make a food & water dish storage station. There are many DIY plans for these stations that come in a variety of sizes; simply search DIY pet food station (Pinterest has many). Or if DIY isn’t for you, invest in one! GrandinRoad offers a Pet Feeding Station in two colors, packed with storage! Check it out here! add some drapery* to further camouflage it. 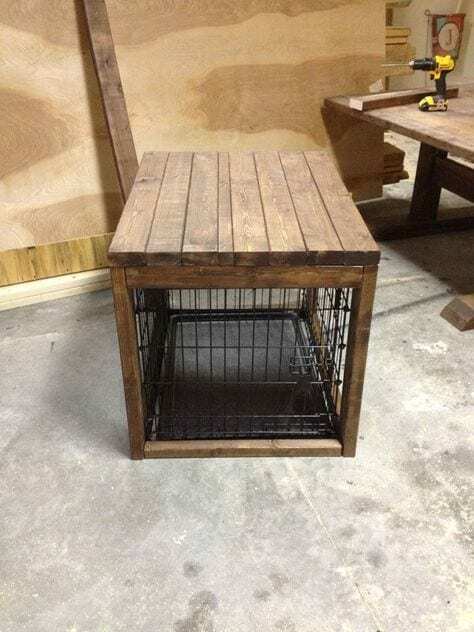 If you’re feeling ambitious and your pet’s crate is on the larger size, you can also make your own wooden table crate cover, and/or wooden top. 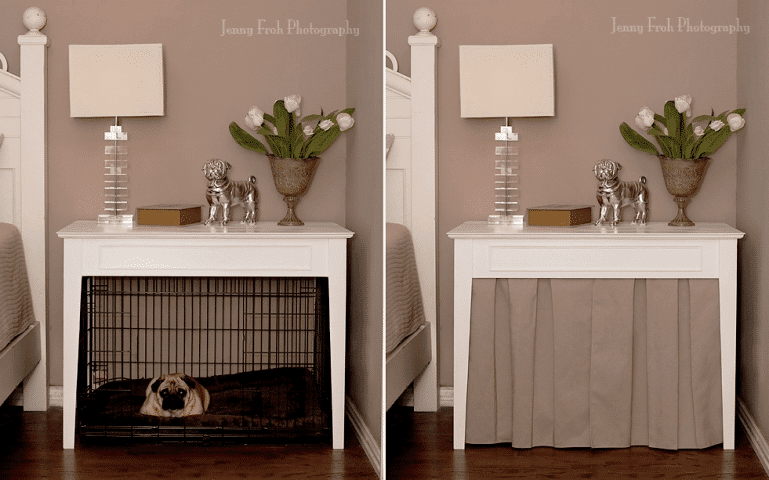 Such disguises allow for your pet’s cage to double as a piece of furniture. Litter Boxes – Similar to the cage covers, the same can be applied to your cat’s litter box; a simple wooden crate with drapery* can easily put it in hiding. Or, if you have a large storage closet (i.e. Laundry room, Bathroom, etc.) 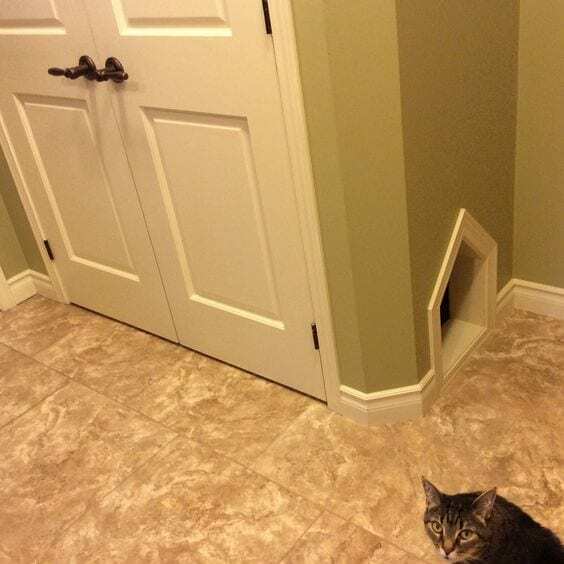 that allows room for a litter box, you can also install a cat door. Your cat can attend to his business, while his business is out of site! If you’re really ambitious (and have the time) cats can be potty-trained! Check out how here! Pet Hair – If your pet is a shedder, grab a pair of rubber dish gloves; rub your hand on the areas covered with pet hair (i.e. couches, pillows) and wa-lah! Pet hair’s gone! A squeegee will also help do the trick! Storage – Like children, pets come with a lot of accessories & toys. And, let’s be honest, we’ve all found ourselves, at one time or another, stepping on a noisy toy. Storage bins that tuck into shelves are perfect to load up with your pet’s stuff, and are even more efficient when placed by/in a common entryway (Mudroom, Foyer, etc.). Wall shelves with hooks are great for walks & storage, too! Keep extra treats & disposable bags on the shelf, while leashes are hung for easy on the go! From the DBS pet family to yours, we hope these common pet problems, are now solved! *Drapery can easily be installed by utilizing tension rods!